Once you learn how to read, you will be forever free. Frederick Douglass, writer, orator and preeminent African-American social reformer passed away 120 years ago today. Douglass was responsible for altering the landscape of the equality debate between 1818 up until his death in 1895. He was not only a champion of equal rights and representation for the African-American community, but for all minority and oppressed groups, which led him to be the running mate of Victoria Woodhull on the Equal Rights Party’s ticket. Born into slavery, Douglass endured oppressors who at first taught him to read, and then stopped abruptly due to the Master of the house protesting – citing education as unnecessary for a slave. He then went on to teach himself and many other slaves to read, giving many the opportunity to articulate fully their struggles and cohesively represent their dire circumstances. 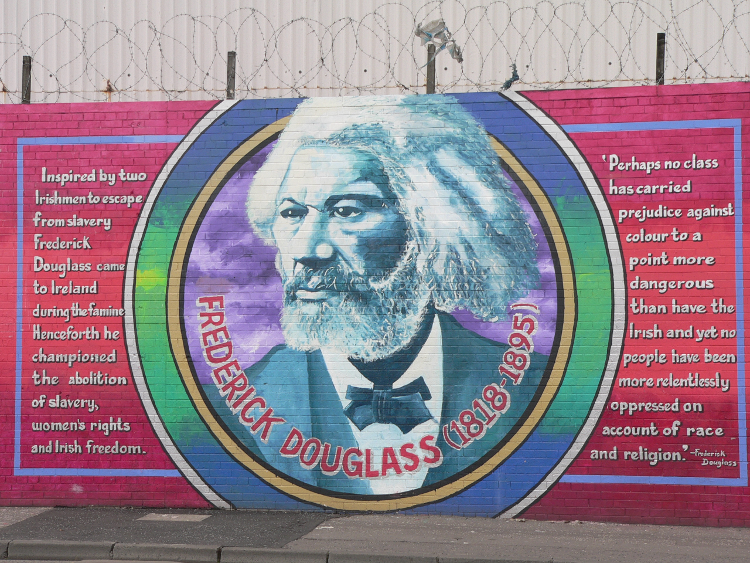 Frederick Douglass Mural, Solidarity Wall, Belfast - Ireland, 2005. 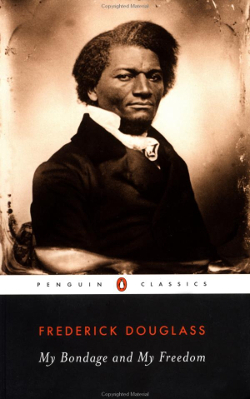 Douglass authored three autobiographies—the first published in 1845, seven years after he made a break to freedom. 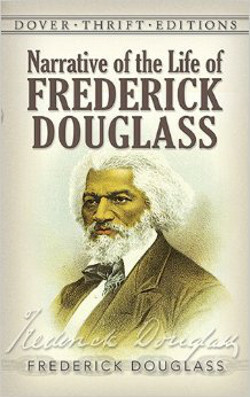 His most popular work is also his first autobiography, Narrative of the Life of Frederick Douglass, an American Slave. While skeptics doubted that a black man wrote such an articulate book, it mainly received positive reviews, quickly becoming a bestseller. Douglass’ Narrative tells about his life as a slave, beginning with facts about his parents and giving detailed accounts of the deplorable conditions he faced as a slave to Captain Anthony and Colonel Lloyd. As a child, Douglass went to care for the Auld family’s son, Thomas. Douglass describes continuing his reading endeavors, trading bread for lessons with poor white children and using Thomas’ books. Douglass continues to describe the beatings he received from multiple owners, until he fights back. 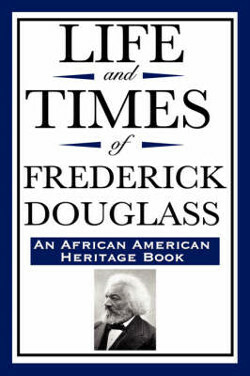 In the final chapter, Douglass writes about his escape to the North but does not say how he did so because he opposed any revelation of the means through which other slaves escaped. He ends the chapter describing a huge turning point in his timeline, when he happened upon William Lloyd Garrison’s abolitionist newspaper, The Liberator. This sparked Douglass’ journey as a determined abolitionist. Watch Danny Glover read from Frederick Douglass' "Fourth of July Speech, 1852" on October 5, 2005 in Los Angeles, California. 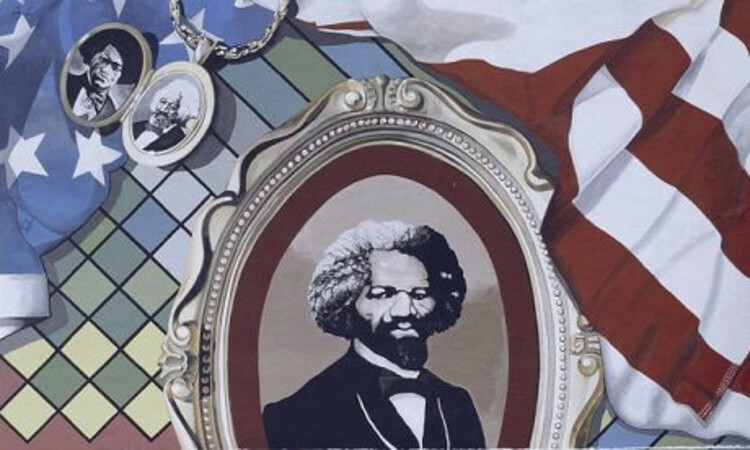 Douglass’ writings however are still seminal and popular beyond his death, and below are the most easily available and widely taught titles today.